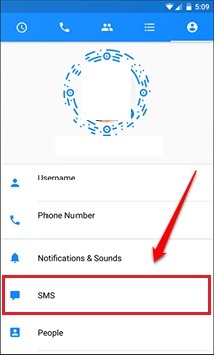 How To Send SMS From Facebook Messenger for Android:- Your mom uses SMS and your friends use Messenger? Are you tired of switching between screens to stay in touch with everyone at the same time? Well, Facebook Messenger has the perfect solution for you. Its newest update has the SMS feature enabled, which lets you send and receive SMS messages right from your Messenger app. Facebook does not upload all these messages to its servers. 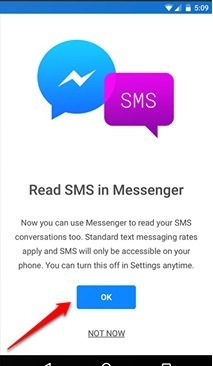 For the SMS feature to be activated, first you need to go to Play Store and get the latest version of Facebook Messenger. This feature is currently not available for iOS users, but it is expected that an iOS version will also release soon. So, wondering how you can get your Android Messenger to help you send and receive your SMS messages? Well, dive into the article then. First of all, launch Facebook Messenger and when it opens up, tap on the Settings option with the person icon. When the Settings opens up, tap on the option SMS as shown in the following screenshot. As next, turn on the toggle button corresponding to the option Default SMS app. There you are! That’s all that it takes to activate the SMS feature in your favorite chatting app. The messenger conversations will be blue in colour and the SMS conversations will be purple in colour. But don’t jump to the conclusion that it is free. 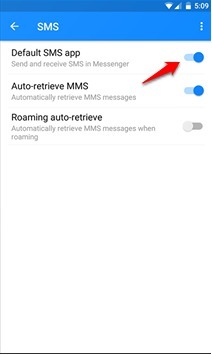 Standard SMS charges may apply based on your carrier network. Hope you found the article useful. If you have any doubts regarding this latest feature, feel free to leave comments, we would be happy to help. You could also check out our article on the topic How To Start Hidden Chess Game In Facebook Messenger App. Stay tuned for more updates.